The FMCG industry is the most significant player in online and digital marketing services. Interestingly, its adaptation to this environment is still ongoing. The examples we’ve chosen are an excellent indicator of how smart investment and creative solutions can be extremely successful. According to WARC 100 research, the brand Ariel significantly lagged behind their competition both regarding position and sales, which required a redefinition on the Indian market. The campaign, titled “Share the load,” whose word had a cultural significance concerning including men in the household, has received an incredible result. 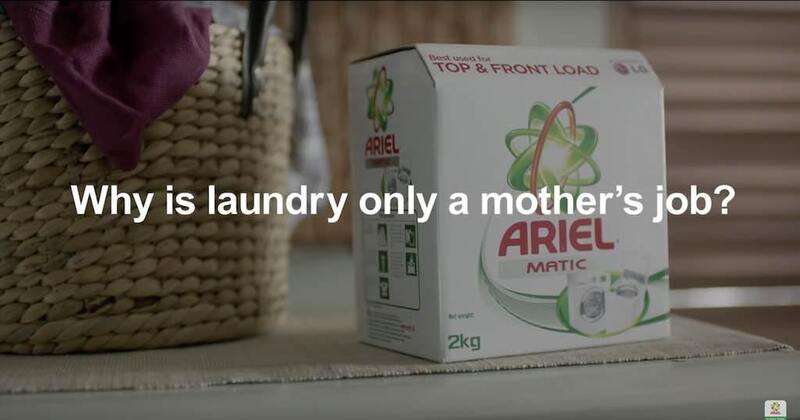 1.57 million men have “pledged” to take part in housework, and Ariel has increased their sales 105%. While this campaign was not entirely digital, online communication has played an enormous role in this result. In the Russian market, Unilever teamed up with Brandtone to raise the Dove brand name. Targeted promotion on packages instructed users to send a short SMS code followed by Interactive Voice Response. They segmented users and offered them promotional rewards or discounts for additional product categories. Sales of additional products went up by 15% among users who have already purchased shampoos, and 21% Dove consumers repurchased after receiving targeted Direct Message. The ongoing Snickers campaign “You’re not you when you’re hungry,” had an additional Google element. The company combined the 500 most searched terms with over 20,000 misspellings and targeted all the people who made a mistake during an online search. The results were staggering: half a million reached in only two days. In our last blog, we stated that the adaptation process would last for a long time, but one thing is sure – the investment will continue to grow. For precisely this reason, it is essential for FMCG companies to enter the field with a more decisive strategy. A recent analysis of the most vigorous FMCG campaigns by On Device Research showed that on average, for every £1 spent on digital media, a potential return of £4.28 in product sales are generated. This is a fantastic result, but we suggest that with the developments of measuring emotional responses in potential customers, the possibilities and results could be even more significant. More on that with one of our next blog.